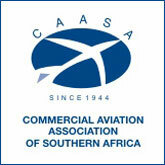 Africa Airports 2007 is a director-level, interactive conference experience. In its 3rd successful year, airport authorities, airports, suppliers and vendors came together to network and build relationships. The congress attracted a global audience with overwhelming press support and media coverage. Africa Airports 2007 is your ultimate aviation experience, addressing the hot topics in the sector and providing you with the year's ultimate industry gathering. Ensure you take part in this customer friendly, cost-effective and big on genuine business contacts event so you can showcase your solutions to your potential clients. Plus there's more: interactive panel discussions, roundtable sessions, speed networking and practical case studies give you the best opportunity to learn from and network with key industry players. Speakers and panellist are industry experts and gurus from across the globe and are personally invited through your suggestions. KIGALI INTERNATIONAL Airport has been ranked number seven in Africa and the best in East Africa according to the 2014 survey by Skytrax, a UK-based consultancy firm. 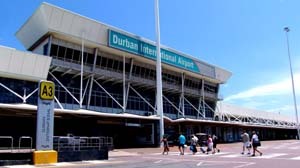 Durban King Shaka International Airport is the best in Africa followed by East London, Port Elizabeth and Bloemfontein airports-all in South Africa. In North Africa, Tunisia�s Tunis, Carthage and Egypt�s Hurghada airports topped the list; while in West Africa, Douala in Cameroon and Algiers Houari in Algeria are the best. The rankings were done on 728 airports worldwide. World wide, Singapore Changi International Airport emerged the best followed by Incheon airport in South Korea, Munich in Germany and Hong Kong International Airport. �The ranking is representative of the activity at the Kigali International Airport and the enormous developmental investments and human resource efforts to ensure that Rwanda keeps growing towards the realisation [of the goal to become] an aviation hub in Africa and the world,� said Dr. Richard Masozera, the director general Rwanda Civil Aviation Authority. The airport has experienced consistent growth in international and domestic passenger numbers from 263, 264 in 2008 to current 600, 000. Tonny Barigye, the civil aviation�s spokesman said that the significant increase is a result of the country�s steady economic development and efforts to develop alternative modes of transport to address challenges associated with being landlocked. The airport is currently undergoing renovations and expansion to make it more efficient and in handling growing traffic. Work is expected to be completed next month. These ratings are based on the quality of products and services, according to Peter Miller, director marketing at Skytrax. �This means a small regional airport which will have a different range of product and service options � compared to a major, international hub airport � can still be eligible for a high star ranking provided it fulfills the conceived quality target,� Miller said. Kigali International Airport was ranked the best because of its capacity to respond to disaster-with its fire department in category nine, the second best according to International Aviation Organisation standards. Kigali was also honoured for being efficient, fast and secure in the checking in process. The airport also scored highly in traffic control systems. �We believe we can do better by working on those areas where we did not score well and with government�s support will achieve a much better position in the next ranking,� Barigye said.